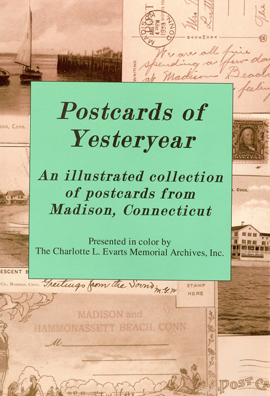 Postcards of Yesteryear: An illustrated collection of postcards from Madison, CT. Published by CLEMA this 84 page soft cover book is filled with over 150 nostalgic color images of postcards from Madison. Short descriptions tell the stories and details of each card. Neatly categorized into ten chapters, this book is a sampling of our collection. Chapters include East River District; Neck River Area; West Wharf; Middle Beach; Around the Green; Madison Center; East Wharf; Seaview Beach Area; Hammonassett District and North Madison. 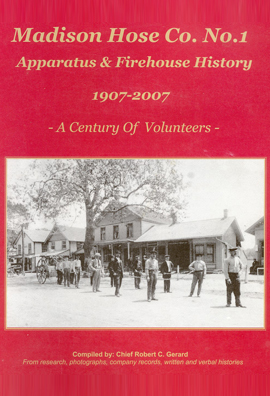 Published by Arcadia, organized and written by Warner P. Lord and Beverly J. Montgomery as collaboration between CLEMA and Madison Historical Society. 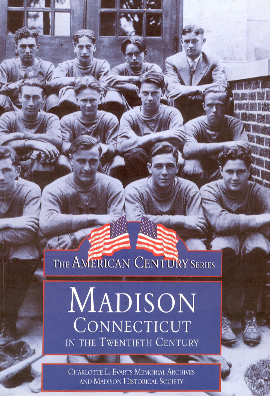 This 128 page soft cover book has 200 black-and-white images with captions outlining the growth and changes of Madison during the years 1900 through 1998. Interestingly written, this book is a must have for any Madison history buff. Published by CLEMA and written by Warner P. Lord. 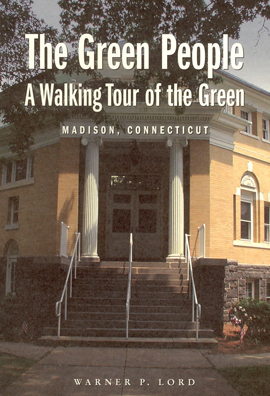 Based on the popular slide show originally put together by Charlotte L. Evarts herself, this 60 page soft cover takes readers on a lively walking tour of the historic homes and buildings that surround the Madison Green. Details focus on the builders, residents, history and lore behind some of the town's oldest architectural treasures. Published by Madison Hose Co. and written by then Chief Robert C. Gerard to commemorate the 100th anniversary of the volunteer fire department. This 112 page soft cover is filled with news articles, over 150 color and black-and-white images. This book details every apparatus used by the department during its first 100 years, as well as tracking down former pieces to their current owners. Also included are images and histories of the Firehouses utilized by the Hose Company to house their equipment. 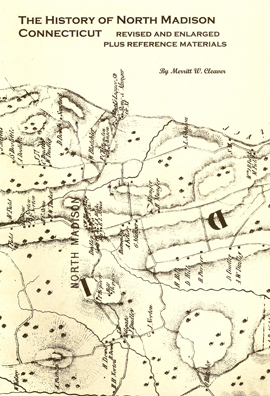 Writer Merritt W. Cleaver, intrigued by the land and lore of North Madison, originally penned a history about this rugged land in 1985 and then dedicated two more decades expanding the work with new research and records. The result is a soft cover, 266 page, 16 color image captivating book covering: Hammonassett Indians and Colonists; Boundaries; First Settlers; Genesee; Iron Works; Charcoal Industry; Pike's Arithmetic; Rueben Johnson's Journal; The 1920s – A New Town; Ninevah Falls; Hunting, Fishing and the Hammonassett Fishing Association; New Haven Water Company Projects; Local Geology; Unsolved Murders; A Famous Son – Nearly Forgotten; High Hill; Old Homes; and The Congregational Church and the Circle. The book also includes 11 annotated manuscripts, tax records and census information.